Spring season is here, and although that means flowering gardens and cool, sunny days, for many people it also means the agony of allergy season! According to Chinese medical theory, allergies relate to imbalances in the meridian and organ systems of the body. These imbalances could stem from many different causes such as: stress, poor diet, consitutional weakness, pollutants and environmental toxins such as dust, mold, animal dander, bacteria, viruses and pollen. Acupuncture and Chinese medicine counterattack allergy symptoms by working to support and strengthen Wei Qi (pronounced “way chee”). You can think of Wei Qi like the body’s immune system. If Wei Qi is strong and abundant, one remains healthy. But if Wei Qi is compromised, one becomes more suceptible to toxins, pollutants and stresses on the body. If the supply of Wei Qi is abundant and flowing freely through the body, allergy symptoms can be greatly reduced or eliminated. Traditional Chinese Medicine also considers the spleen, kidneys, and lungs when treating allergies. 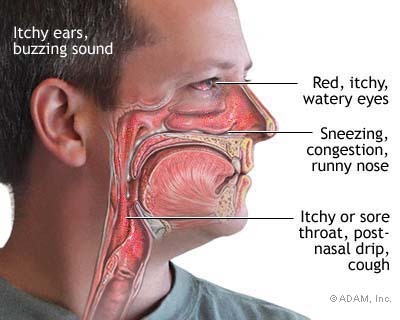 Deficiencies or weaknesses in any of these organs can make one more prone to allergy symptoms. Acupuncture treatments can build, balance and support these organs to increase health and wellbeing. Keep your windows closed during allergy season to prevent dust and pollen from entering your home. Do not hang your clothes to dry in the sun as they will gather dust, mold and pollen. Add spicy foods and omega-3 foods such as flax seeds, walnuts, salmon, sardines, soybean, halibut, callops, shrimp, tuna and tofu to your diet. Wear a dust mask when working in the yard or housecleaning. Schedule regular acupuncture appointments to keep your organs strong and your Wei QI flowing.